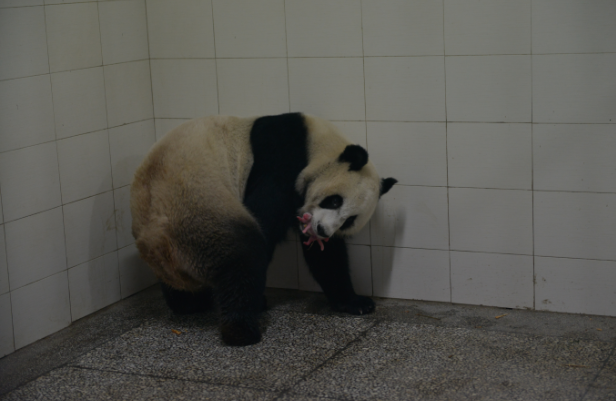 3 giant pandas from the CCRCGP moved to a new panda facility. Min Min, Ge Ge and Zhen Zhen were transferred to Mount Emei on March 30, 2012. 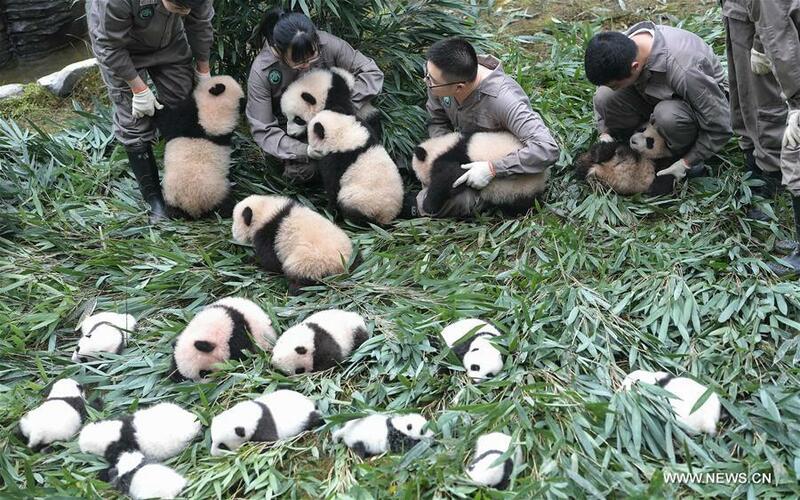 At the Emei Xianzhi Zhujian Ecological Park near Leshan, a new panda hall was build. 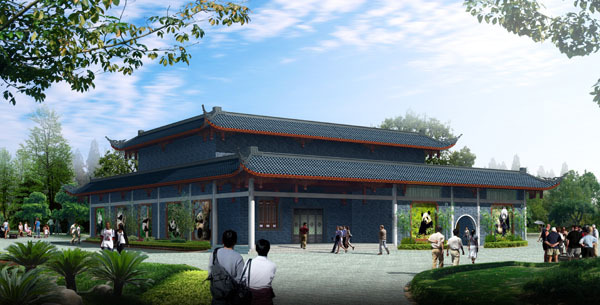 The Xianzhi Zhujian Panda Hall was built in 2011, covers an area of 20.36 mu, Panda Hall appearance design with Chinese characteristic buildings of the Ming and Qing Dynasties, with the giant panda exhibition hall and outdoor activities to indoor activities for the panda hall, provide the best living environment and living conditions. The Panda Hall activities join pool, climbing trees and other pandas play facilities, in addition, to meet the pandas like to a cooler environment, indoor stadium and more particularly equipped with central air-conditioning, so that the giant panda in hot summer climate can be heat cooling. The tourists sightseeing corridor a ring around the indoor and outdoor activities, visitors can through the large glass viewing window, a direct viewing of the giant panda activity. 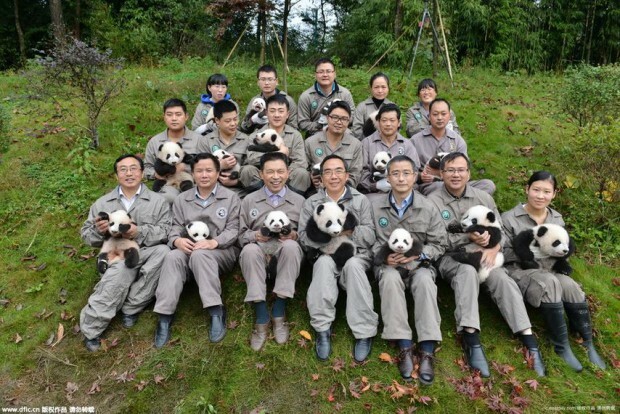 The Panda Hall has become a local youth quality education outside the classroom, an increase of their knowledge of science, raise their awareness of ecological environment protection. 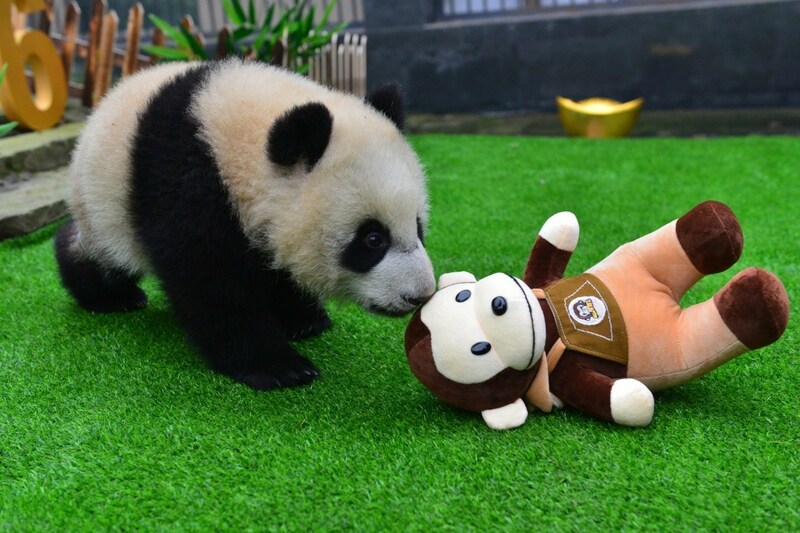 Click here for the offical website of Mount Emei Xianzhi Zhujian Ecological Park.